James Hudson, nutritionist at Protein World, shares 10 things you should know about intermittent fasting: The latest eating trend that studies have shown to help you lose weight, improve health, and perhaps even live longer. 1. Fasting is nothing new. In fact, we’ve all been doing it without even realizing. Fasting, for most people, is the time between the last mouthful of food in the evening, and the first mouthful of food in the morning when we "break the fast" at "break-fast." This type of fast normally lasts between eight to nine hours, depending on the times we eat. Recently, fasting for longer than this normal duration has increased in popularity, thanks to new science supporting the benefits associated with the technique. As more diets have incorporated this method, it’s made this type of dieting more mainstream. 2. The '5:2 diet' is the most common method. If you google "weight loss diets," one of the first things you’ll see is a mention of the '5:2 diet.' The 5:2 diet is a type of intermittent fasting which restricts energy intake on two of the seven days of the week. This is not a complete fast on those days. Instead, dieters usually consume around one-fourth of their normal intake. For ladies, this is typically around the 500-calorie mark, with men getting slightly more at 600 on the "fast" days. As calories are restricted on these days, the normal overnight fast is extended into the day, and this creates intermittent fasting. 3. But the 5:2 diet isn’t the only way to fast. Although incredibly popular, there is a new fasting diet that has grown in popularity due to its recent science-backed benefits. Although the name isn’t as catchy, it’s referred to as the "Restricted Eating Window Diet" (REWD). Although pretty self-explanatory, it basically restricts the length of time that we spend eating food each day, and increases the length of our overnight fast. It might sound similar to the 5:2 method, but for the REWD diet, there are no calorie restrictions. Research showed that when dieters ate within a restricted window of just 10 to 12 hours (instead of the usual 15) they ate up to 20 percent less calories, lost weight, and became metabolically healthier. For the 5:2 diet, the "fast" window depends on when you have your first meal of the day. If you split your calories, the fast could last 15 hours, or if you power through until dinner, it could last for up to 22 hours. For REWD, the length and duration of the fast is up to you. However, you should aim for a minimum of 12 to 14 hours, and it is better to start the fast earlier in the evening rather than later. Looking at the pros and cons for both, the 5:2 diet gives you freedom with your eating habits on non-fast days, as you are only restricted on two days of the week. REWD has no limitations on what you can eat, but you do need to stay within your selected eating window, and do this for as many days of the week as possible. Choose what fits in better with your lifestyle. 5. Water is allowed when fasting. Fasting, by definition, is abstaining from food or drink, however, when it comes to fluids, we don’t have to take this so literally. Fasting for specific religious reasons may include a restriction of all fluids, however, on these particular fasting diets (REWD and 5:2), you are allowed to consume as much water as you like. During the fasting period of these diets, you have to avoid all fruit juices, smoothies, and even coffee, as all these contain energy or caffeine which has to be metabolized by the body. That being said, if you feel you can’t function without your morning Starbucks, it's not the end of the world, just avoid drinks with added milk and sugars. Then, you can work towards eliminating these once your body gets used to longer fasts, transitioning to water. 6. You might get hangry, though. A disadvantage to eating this way is the hunger pangs you may experience in the first couple of weeks, in this instance, the hanger is real. For example, if you have pushed your breakfast back, reduced it or even eliminated it entirely, it may feel tougher in the morning as you are running on barely anything. When you’re hungry, it’s a natural instinct to grab something to eat. When you’re fasting, whether it’s a restriction of timings or calories, you need to train yourself to ignore the hunger pains. My tip would be to keep yourself busy so you have less opportunity to dwell on the fact you are hungry. 7. You can exercise while fasting. It is suggested when following the 5:2 diet that on your low days you don’t do a lot of vigorous exercise. There are two reasons for this, you will find the exercise tougher and feel more tired/depleted for the rest of the day. What I would suggest is you experiment with exercise on low days (on the 5:2) and during your fasting window (on the REWD). Yes, you may find it harder and you might become more hangry, however, you will soon learn when you’re pushing yourself too far. I would suggest starting with lower intensity and shorter duration activities, then slowly increase. There are many benefits to exercising in a fasted state, but attempt it gradually and ease in. 8. There are multiple benefits to fasting. There are both mental and physical benefits to increasing the length of your fast. With regards to mental benefits, studies have shown that fasting diets are more sustainable than most diets, as they are a very simple way of dieting. You can either eat what you want, within an allotted time, or you can’t go over a certain number of calories a couple of days a week. 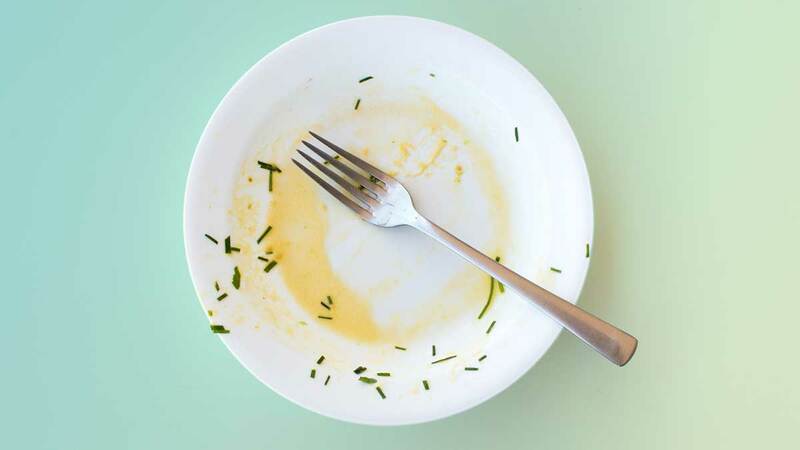 The physical advantages to fasting include weight loss, (due to the likely reduction in calories), increased cellular repair (which is stimulated in the fasted state), increased sensitivity to insulin, better sleep, and a more diverse gut bacteria. 9. When will you see changes? Like all weight loss diets, you shouldn’t become disheartened if you do not see changes immediately. But you should start seeing and feeling some benefits as early as four weeks in. Remember, with dieting consistency is key, so I would suggest finding a partner to join you on the same diet. This means you have someone to motivate and be motivated by, as well as someone to vent your hanger with, but ultimately, someone to enjoy the benefits with.